I'or most of the year, this small quail is fairly unobtrusive, but in spring it makes its presence known with its loud "bobwhite" call, given from a low perch such as a stone or a tree stump. It is common in thickets, in shrubby countryside, and in open woodland. In spring, the birds feed in pairs or family parties, gathering into small (locks later in the year. They are seen walking or running on the ground, often venturing into open fields. If disturbed, they first crouch among bushes, then fly low from one patch of cover to another on whirring wings. They roost huddled together on the ground, facing outward so that all can take off and scatter if alarmed. 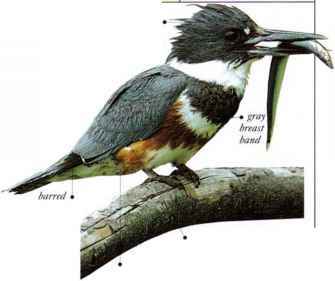 They feed on seeds, shoots, leaves, and roots, with some insects and other small invertebrates. • NliST A shallow hollow in the ground, lined with dead vegetation, often in a relatively open site, such as a meadow. • DISTRIBUTION Erom E. USA to Mexico. Introduced in other countries, ^L with relatively small local populations of escaped birds.